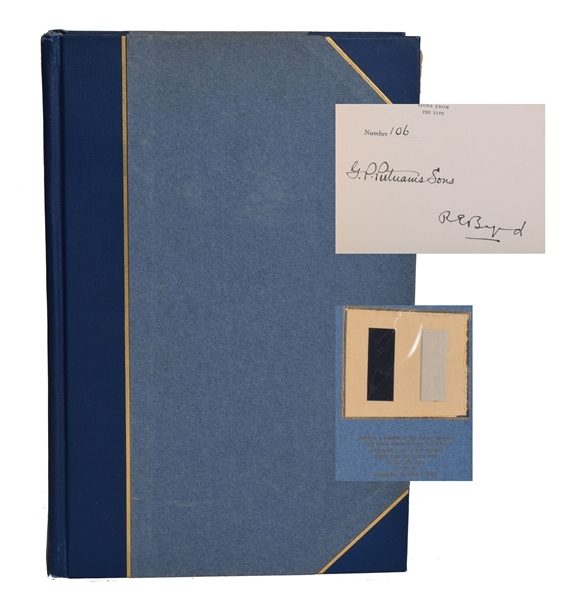 Lot Detail - "Skyward" by Admiral Richard E. Byrd Special copy with Fabric form Plane! 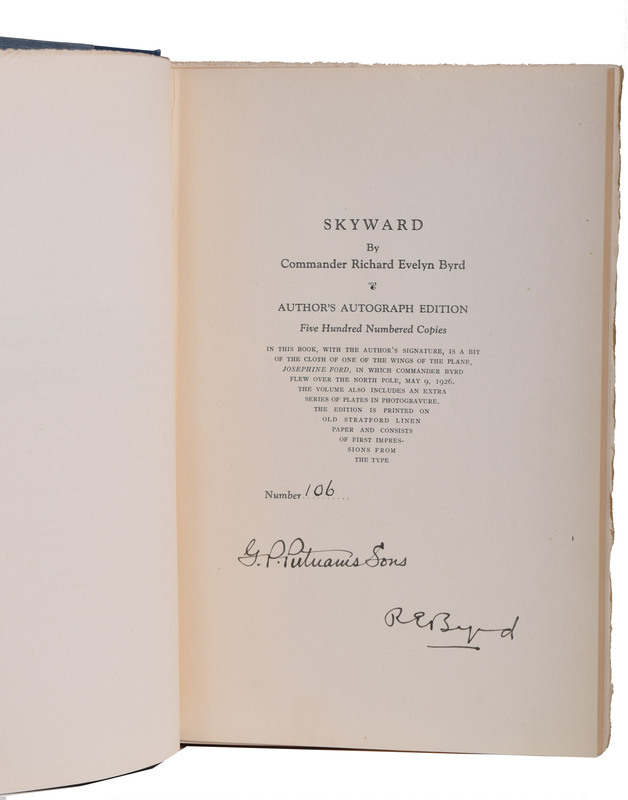 "Skyward" by Admiral Richard E. Byrd Special copy with Fabric form Plane! On 9 May 1926 Admiral Richard Byrd made history piloting the Josephine Ford plane over the North Pole. 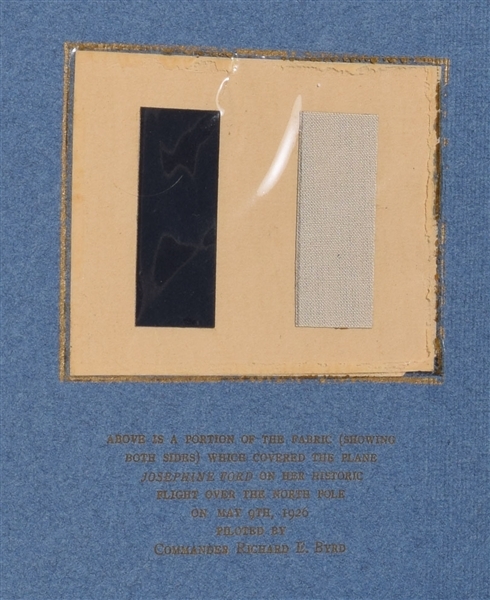 This very special signed edition of ''Skyward'' is one of only 500 printed and comes with fabric swatches from the wings of the actual aircraft. 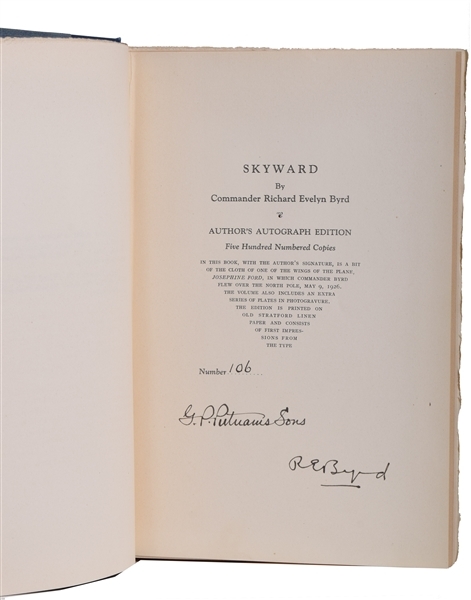 This copy, numbered 106, is signed ''R E Byrd'' upon the limitation page. 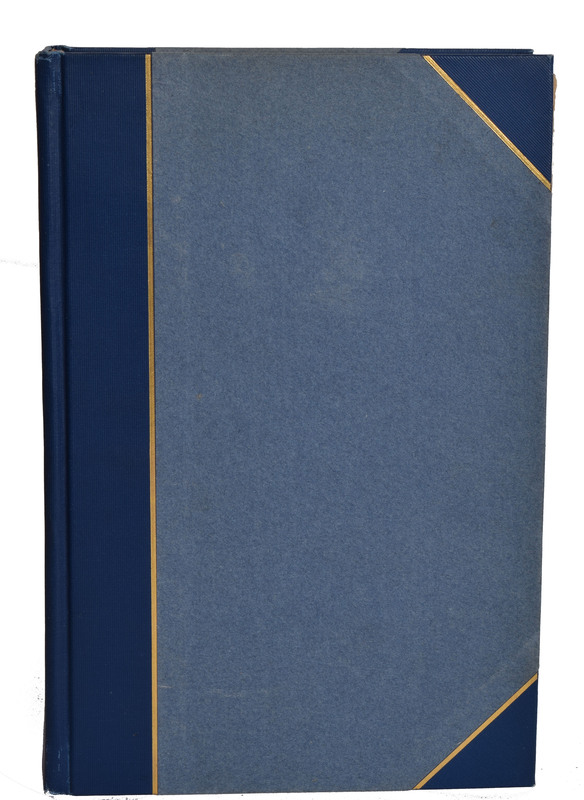 Published by G.P. 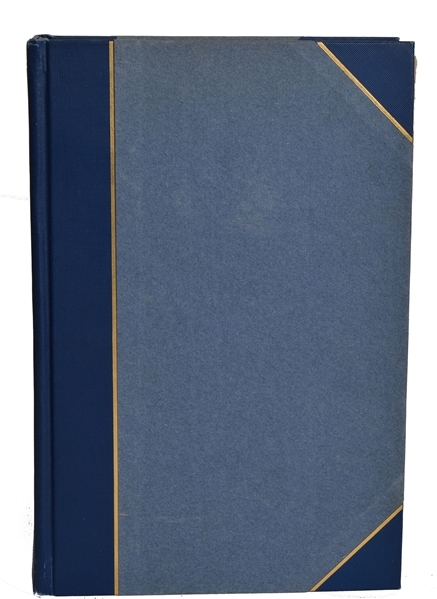 Putnam's Sons: New York: 1928. 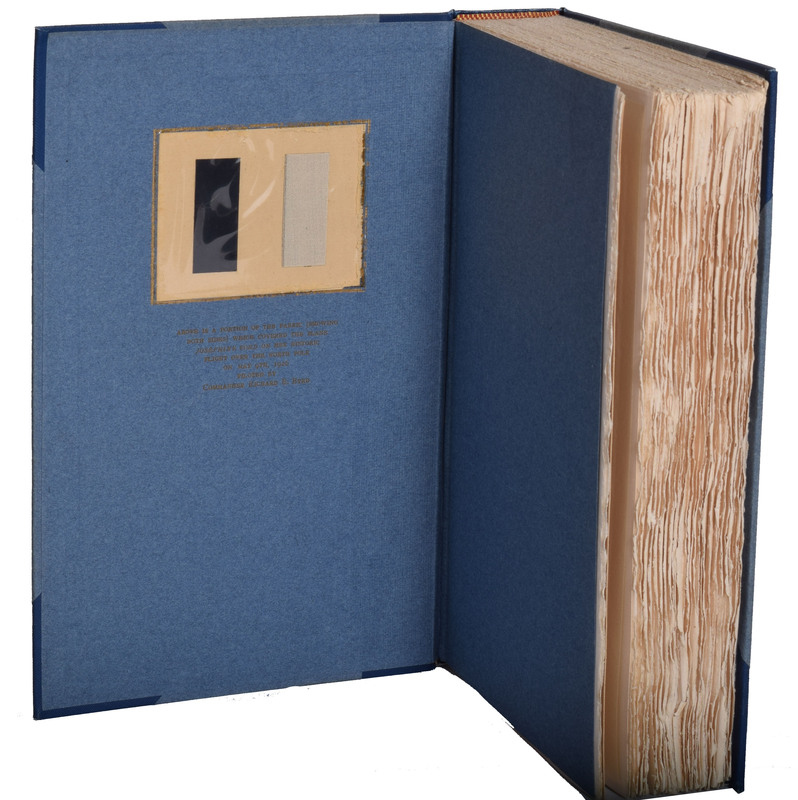 The book also has extra photographic plates not in the trade edition.